The bridge is located near Enterprise Road on Fudge Road in Gratis. Brubaker Bridge is within one mile of the Cry Baby Bridge. There is a place called the Haunted Midget House located near Cry Baby Bridge in Eaton, Ohio. 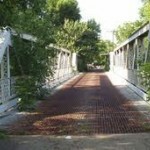 The bridge is located on a very narrow, winding road with trees on both sides. 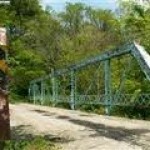 Locals claim that a woman and her infant were murdered at Cry Baby Bridge and their bodies were never found. Some say that black rituals or KKK meetings take place at the location as well. There are other bridges in the U.S. that have similar stories about the KKK associated with them, including Cry Baby Bridge in Westminster, Maryland and Cry Baby Bridge in Helltown, Ohio. 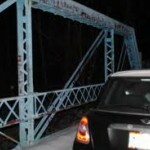 Down the road from Cry Baby Bridge is Brubaker Bridge, which is also said to be haunted according to some locals. Brubaker Bridge is located near a cemetery. A barn nearby is also said to the location where 17 kids were brutally murdered. Local lore surrounding the Cry Baby Bridge at this location is that a woman lost her child over the side of the bridge. Stories don’t elaborate on how she lost the baby or why. Locals claim that if you yell that you’ve found the woman’s baby, something paranormal will happen. Last time i went there they had the bridge blocked off. And was also told that they can legally shoot you while tresspassing on there property. My grandparents lived on Enterprise Road in Ingomar and for many years our family reunions we are held at the Twin Valley Rod & Gun Club. I have a brother that lives in Gratis right now, and a sister that lives in Eaton where I grew up till we move to Dayton ! A few years back we made a journey to try to see all of the remaining covered bridges in Southwestern Ohio ! Do not go there. The road is closed… it’s not haunted just an old crazy any that has cameras everywhere and calls the police. Then Preble county or I have to come and probably give you a ticket. For driving on a closed road or trespassing charges if you go on her property. A road, closed or not, is not a private property. I don’t own the road I live on and cannot give you a ticket or otherwise. No one can shoot you if on public property with the exception of the police if you are doing something dangerous to others. It doesn’t work anyway, you will hear nothing, I tried it almost twenty years ago.